Our regular program welcomes both boys and girls. 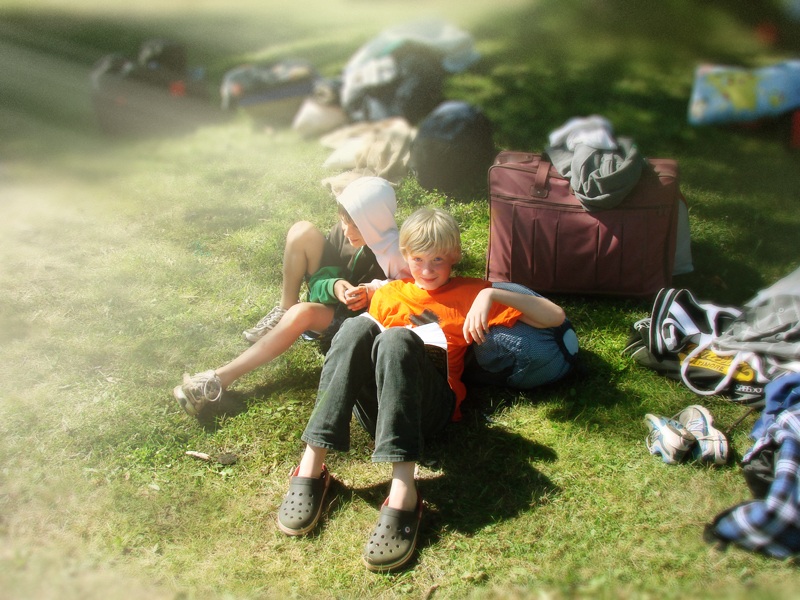 Campers stay in cabins with two trained counsellors, and most activities are in cabin groups. Activities include crafts, archery, canoeing, swimming, sports, a mountain hike, camp-out, camp-wide games, worship, group discussion, Water Olympics, Talent Night, Tuck Shop, and hanging out with new friends. Each week-long program accommodates 68 children from a variety of church backgrounds, and from none at all. Also on site are several directors and other staff including qualified lifeguards, cooks, and a site manager. Our overall staff-to-camper ratio is better than 1 to 3. Junior Outdoor Adventure Camps are similar to our regular Junior camps except that campers stay in tents (provided) at another location nearby, and share in a wider variety of outdoor games and activities, including a day-long canoe trip. The program has its own directors, food is served at picnic tables or around the fire, and counsellors stay in the tents with campers and lead them through the program. Registration is limited to 16 campers per week, and the camps often fill up quickly.